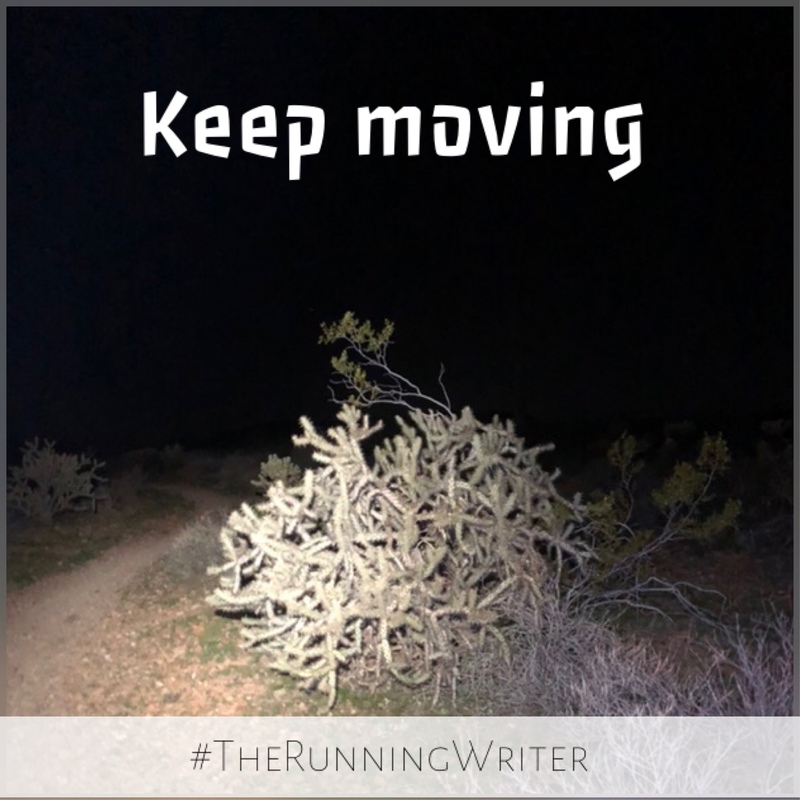 I run in the dark a lot for a couple reasons: 1) I live in the desert and sometimes it’s just so stinking hot out I have to start early to avoid the sun. 2) I have a day job, so I’ve got to get my workout done before I leave. I don’t particularly like running in the dark because it’s a little spooky and I can’t see super well. Sure. I carry lots of light, but it’s still dark. I can’t see everything around me and that makes me feel out of control. Kind of like life sometimes, huh? Feeling out of control is the worst. We spend our time planning, trying to prepare for anything that might come our way, but we can’t see everything. We won’t ever be able to. We just have to keep moving a little bit every day. Some days we get to see more of our surroundings and we take bigger steps forward. Some days the steps are small and they are scary because we can see ahead very well. Keep moving, though. You can do it.